Artificial Intelligence is one of the breakthrough tech in computer science milestones among all their achievements. Image Recognition was a challenging part for the machine to detect objects. In this century, many computing resources and intelligent algorithms make it easy. But the feature will be only for those who have specifically configured machines to detect objects. After the release of Tensorflow Lite on Nov 14th, 2017 which made it easy to develop and deploy Tensorflow models in mobile and embedded devices - in this blog we provide steps to a develop android applications which can detect custom objects using Tensorflow Object Detection API. CPU (Intel i7,8GB RAM)or GPU (if you cannot prefer this configuration, try Google Cloud Platform of free $300 credits) to train the model. Since the project is full of work with Python codes, libraries and API it’s a good methodology to work in a Python virtual environment and we use pip to install Python package make sure you installed it. To know more about python virtual environment feel free to visit this link. 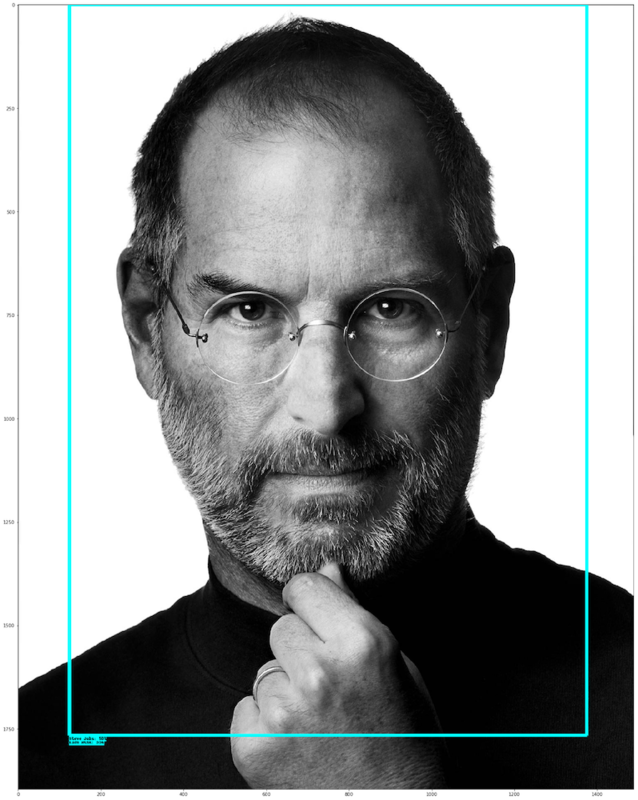 In this project, we are going to work with custom images so I’m collecting images of Steve jobs and Elon Musk for it. After collecting all the images, annotate or box the object which you have to detect in the image using Labelimg and save both the .jpeg and .xml file of it in the image folder. After creating a boundary box of an object, we get .xml file of it, it’s called as annotation file which will be used to specify the region where the classifier should focus on and it will be looking like this. The boundary box notation will be xmin,ymin,xmax,ymax. We successfully collected the required data and annotated it. Now we have to convert the images from xml file to a single csv file, because the file conversion is in this manner .jpeg >.xml > .csv > .record. So we have to convert it, I provided the code to convert the xml’s below. #Storing the csv file into the data directory. To save the data file create another data directory in your project file, so its normally easy to organize otherwise save as you wish. But when you create the data directory, create an empty train.csv and test.csv into it. Next step is to convert the csv file to tfrecord file because Tensorflow have many functions when we use our data file in a tfrecord format. I’ve given the code below to convert the .csv to .record or .tfrecord. That’s great we completed the data processing! Now you need to have two files in your data folder train.record and test.record as your final output of this step. It’s a tedious process to create a convolutional net, feed your data and train it and also we cannot achieve a good accuracy when we develop the net on our own. So we are going to use Google pre-trained model called ssd_mobilenet_v1_coco. We use the model and config file of it in our project. When you extract the ssd_mobilenet file you get all the pre-trained models. Now we have to make some changes of the config file. But in this config file I already changed it. If you want make changes for your images follow this step. This part in the config file describes how many classes we are going to use, since we used Steve and Elon so it’s 2; rest all remains the same. Change some values in this part of config file to reduce the complexity because ssd_mobilenet is trained for 90 classes and it has high configuration values so we need not use that much value so change it. But remember the more you train more you get accuracy - 300 is enough for us to train . # never decay). Remove the below line to train indefinitely. Make some path changes in this part if you require, otherwise leave it as is for this project. # Note: The below line limits the evaluation process to 10 evaluations. # Remove the below line to evaluate indefinitely. Great! Now we made all our configuration for the project. 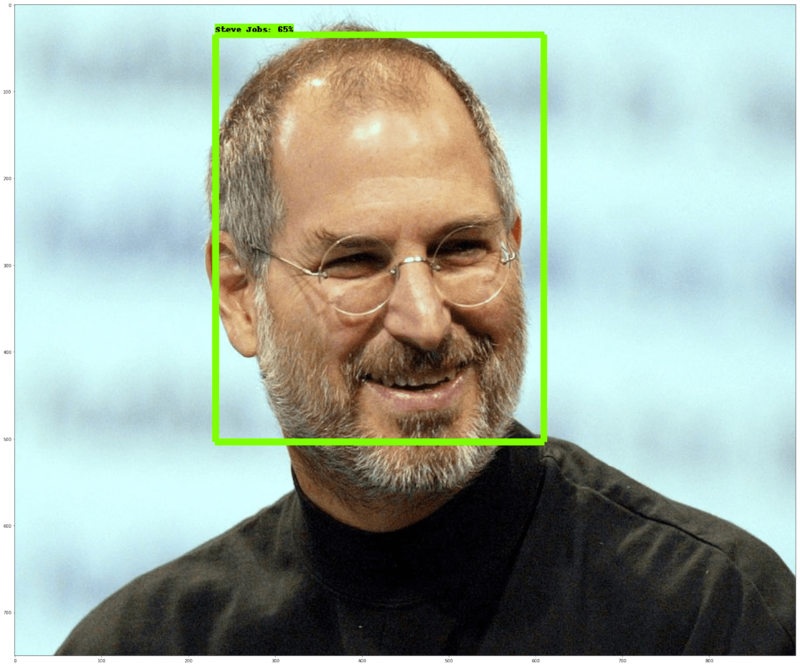 We have to download the Tensorflow object detection API (TensorFlow Object Detection API) as we need only their object models, I have downloaded and it will be available at this link. Now extract the models zip file and store it in your project folder. Now you get all the required properties installed to run the API in your system. 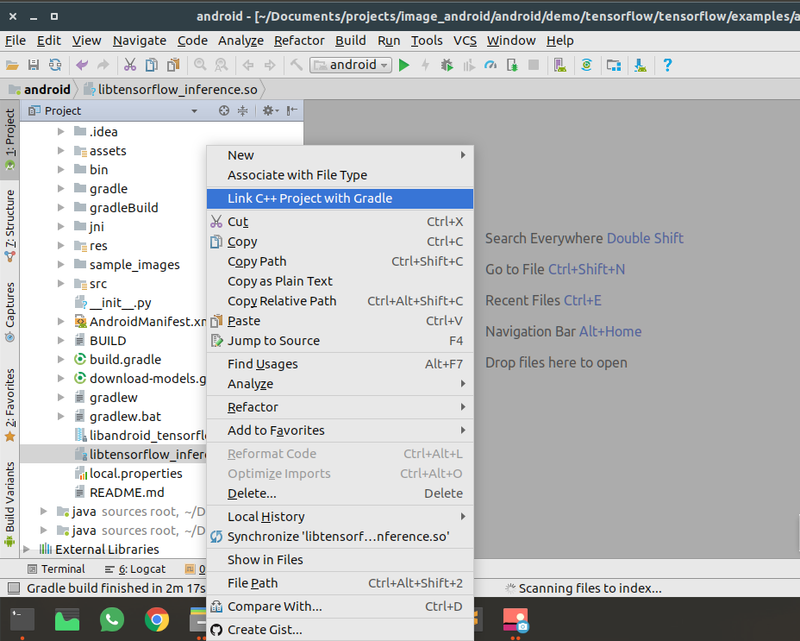 Copy the folder which I selected in the project folder and move it to the object_detection folder inside models folder. $ cd "PATH TO THE MODELS FOLDER"
All set, ready to Train your model. Now we created a model which detects Steve or Elon in the image, but we didn’t see our output Here comes the testing. Before testing we should create an inference graph. 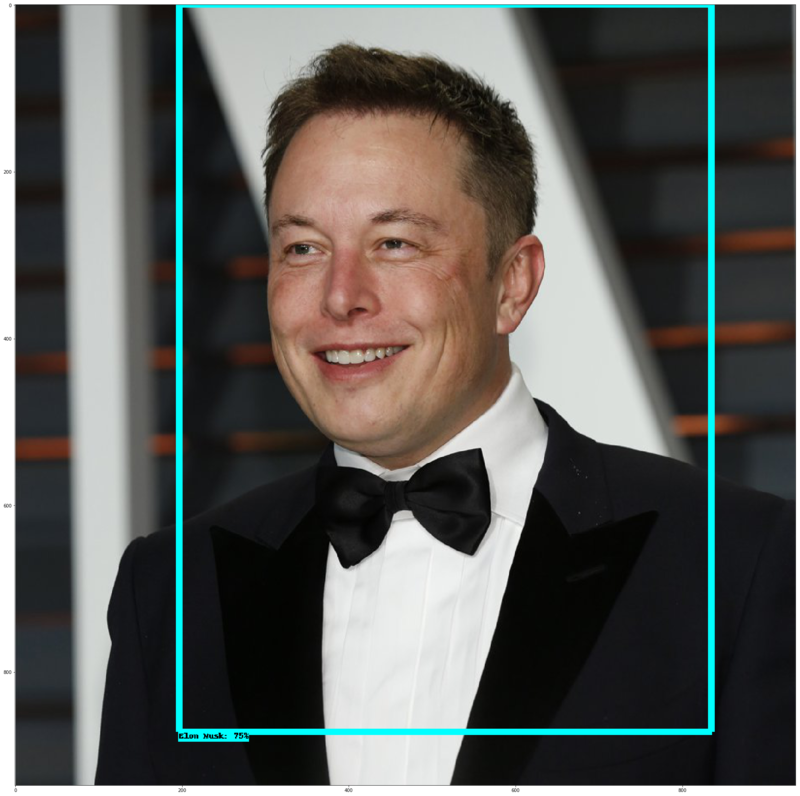 Now collect some images for testing, in my case I gathered about 4 images of Elon and Steve and saved in models/object_detection/test_images folder and renamed them to image1, image2 etc. iteratively. 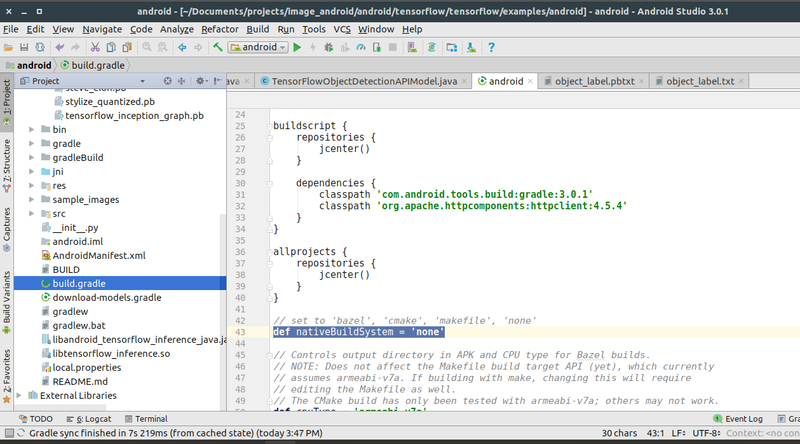 Cool ,at last we created a successful model now our job is to deploy in a android app. The core of the TensorFlow is written in c++. 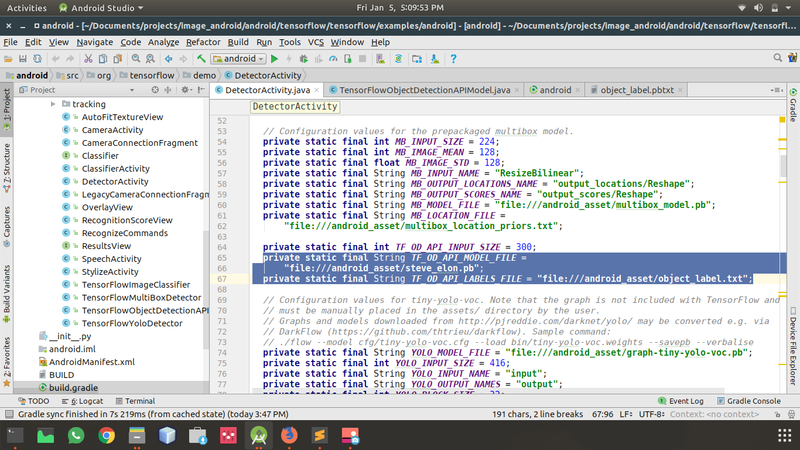 In order to build for Android, we have to use JNI(Java Native Interface) to call the c++ functions like loadModel, getPredictions, etc. We will have a .so(shared object) file which is a c++ compiled file and a jar file which will consist of JAVA API that will be calling the native c++. And then, we will be calling the JAVA API to get things done easily. 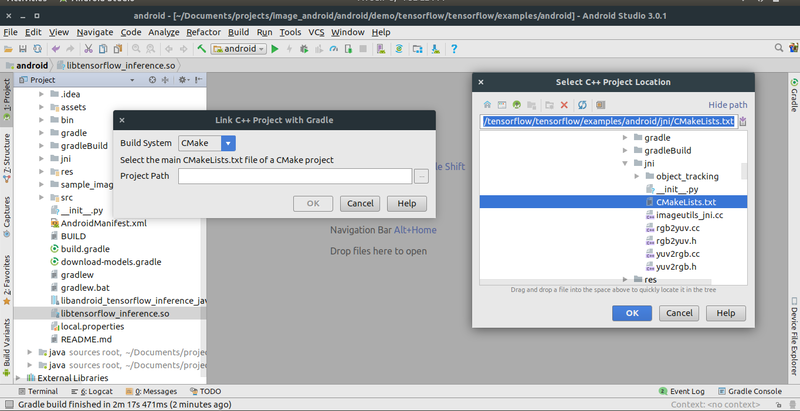 So, we need the jar(Java API) and a .so(c++ compiled) file. Install Bazel from here. Bazel is the primary build system for TensorFlow. Change the version of SDK and NDK in tensorflow workspace file. The workspace file will be available in the tensorflow directory. # Uncomment and update the paths in these entries to build the Android demo. 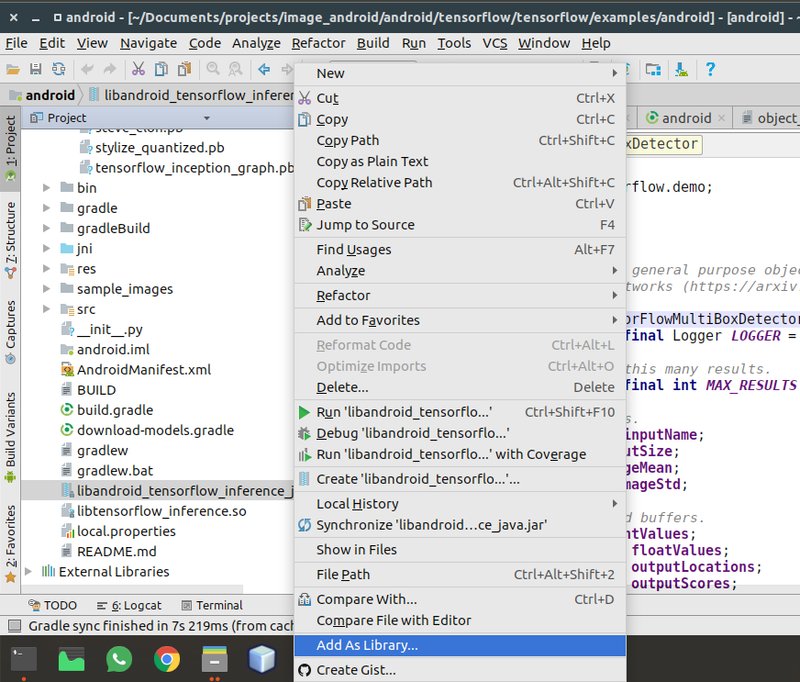 You have collected all your necessary resource files for your android implementation.Now open your Android Studio and Click open the existing project and navigate to : tensorflow/tensorflow/example/android and open it.You have the pre-built Tensorflow demo modues applied in the android application . 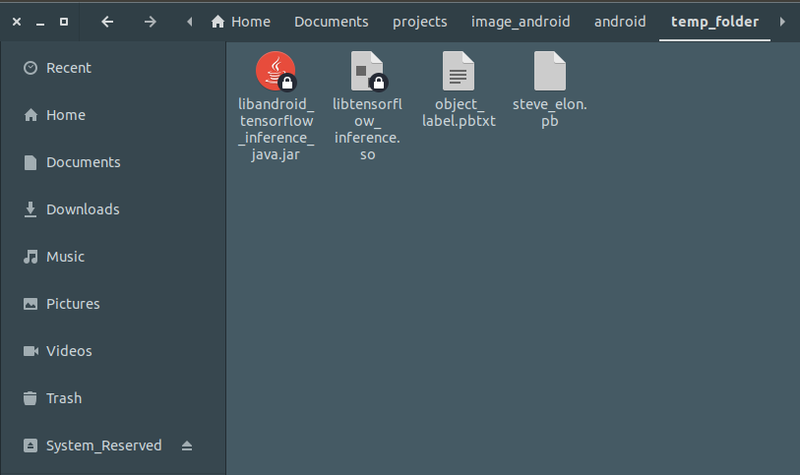 Create an assets folder under your app project and move your steve_elon.pb(model file) and object_label.txt (label file) to it. Great, thats it! Let’s check if our android app detect Elon or Steve from the image. So Click the Run option . Finally you must get the result like this. If not check your code or your model.